One type of siding that has always been popular is wooden siding. Wooden siding can give your home a warmth that seems to be more inviting and cozy. However, looking great is just one aspect for siding installation these days, and one of the problems associated with wooden siding is that it requires lots of maintenance in order to keep it’s appearance. There are wooden siding alternatives that can look great on your home and also protect it much better than wooden siding. 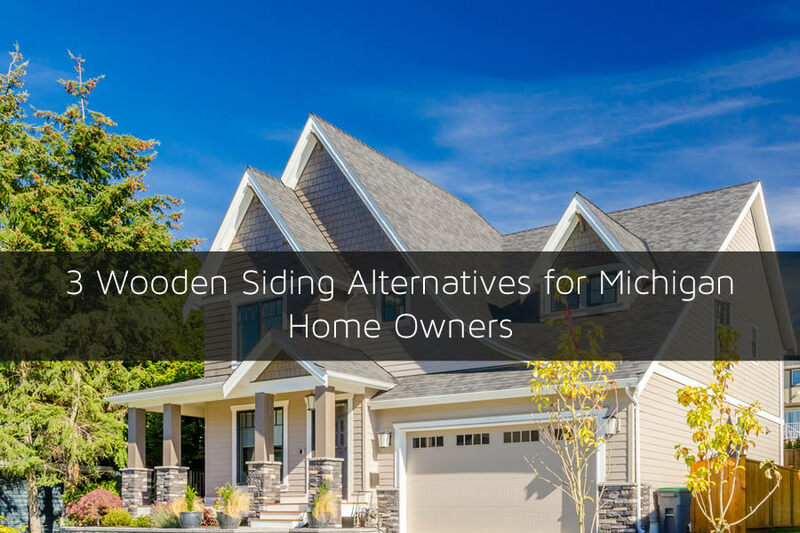 For Michigan home owners, I’ve outlined 3 of the most popular types of wooden siding alternatives for your home in this article. Some of the biggest problems that plagues wooden siding is that it requires lots of maintenance. You may need to paint the siding every few years. And if you have wooden siding that is stained you may also need to reseal the siding from time to time. And since it’s made of wood there are some threats that go along with wooden siding as well. Insects is one of the biggest problems. However, there are other problems as well which include the wood itself rotting or even moving and warping as the temperature chances. All of the types of siding I’ve listed below don’t have this problem and can be advantageous to wooden siding in Michigan. One of the most popular types of siding used today is called vinyl siding. Vinyl siding has gained popularity over the past few decades because it’s very economical and put simply it’s great. It’s easy to install, covers many other types of sidings, and lasts a long time. Even in Michigan weather the vinyl siding that is manufactured today holds up very well and can last for decades. There are some problems associated with vinyl siding that some Michiganders will mind and that is that the vinyl siding can become more brittle in winter. If a ball or other object hits the siding it can break it or crack it. As long as it’s not struck however, it’s not a problem. Vinyl siding can mimic wooden siding very well. It has a painted appearance of lapped wooden siding. There are many different styles you can choose from with vinyl siding and a plethora of colors to choose from as well.Vinyl siding can also be trimmed in vinyl as well giving your home a complete siding exterior that is not affected by insects or wood rotting. Plus, you won’t have the maintenance required that wooden siding would require. Aluminum siding can also be used to replace wooden siding. However, most home owners will now prefer vinyl siding rather than aluminum. Commercial applications however may find that heavier gauge aluminum siding is better especially if there are large spans to be covered. Aluminum usually comes prepainted and doesn’t require maintenance like wooden siding. Be warned however that lower quality aluminum siding can dent easily and a hail storm can completely destroy the siding if it’s not that thick. Although fiber cement siding is more expensive than vinyl siding it has many advantages. Fiber cement siding has really gained popularity over the past decade because of it’s protection properties and it looks great. Fiber cement siding is made from organic material that doesn’t rot like wood. It also doesn’t warp, shrink or stretch as the temperature changes. One of the most popular brands of fiber cement siding being used here in Michigan is James Hardie Siding. The siding can come in different styles and colors that are prepainted onto the planks. The siding can mimic wooden siding as there are wood grains imprinted directly onto the planks. Even at a close up angle it’s difficult to tell it’s not made of wooden. Fiber cement siding does not require maintenance like wooden siding and it is usually has a warranty attached of 20 years or more depending on the manufacturer. Are you ready to get new siding installed on your home and leave the maintenance of wooden siding behind? 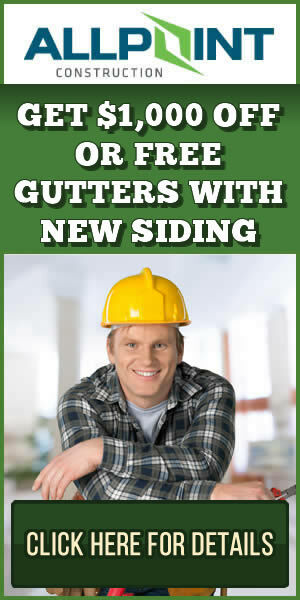 If so, be sure to get a free siding estimate in southeastern Michigan from Home Pros Plymouth. The are a fully qualified siding contractor Plymouth MI and offers free estimates.